An advertisement in the official Borderlands 2 strategy guide says that the popular shooter series will come to iPhone and iPad by the end of October. The ad, first discovered by a Gearbox forum poster (and confirmed by Kotaku this morning), announces Borderlands Legends, an iOS game that "will blow your mind." 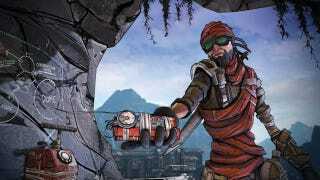 I've pinged Borderlands publisher 2K Games to ask what the deal is—will update should they get back to me.